Our research lab has spent years tracking the spread of misinformation on social media, including vaccine safety and effectiveness. Our most recent update of the data has found that pro-vax information and activity is beginning to push back against, and even overtake, anti-vax disinformation. Our analysis reveals the most influential accounts on each side – the accounts whose tweets are retweeted the most. 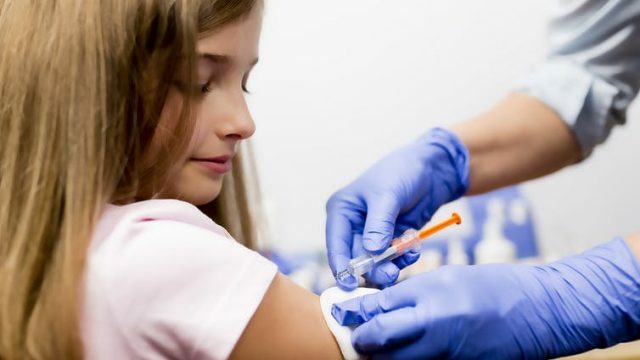 On the pro-vax side are organizations like @WHO, @UNICEF and @gavi, the Vaccine Alliance, as well as celebrity advocate @ChelseaClinton and paediatrician @luciapediatra. Filippo Menczer is a professor of informatics and computer science at Indiana University, Bloomington, with courtesy appointments in cognitive science and physics. He holds a Laurea in Physics from the Sapienza University of Rome and a Ph.D. in Computer Science and Cognitive Science from the University of California, San Diego. Dr. Menczer is an ACM Distinguished Scientist, a Fellow of the Center for Computer-Mediated Communication, a Senior Research Fellow of The Kinsey Institute, and a board member of the IU Network Science Institute. He previously served as division chair in the IUB School of Informatics and Computing, director of the Center for Complex Networks and Systems Research, visiting scientist at Yahoo Research, Fellow of the Institute for Scientific Interchange Foundation in Torino, Italy, and Fellow-at-large of the Santa Fe Institute. He has been the recipient of Fulbright, Rotary Foundation, and NATO fellowships, and a Career Award from the National Science Foundation. His research, supported by the NSF, DoD, McDonnell Foundation, and Democracy Fund, focuses on Web and data science, social network analysis, social computation, Web mining, and modeling of complex information networks. His work on the spread of information and misinformation in social media has been covered in many US and international news sources, including The New York Times, Wall Street Journal, Washington Post, NPR, PBS, CNN, BBC, Economist, Guardian, Atlantic, Reuters, Science, and Nature. Menczer received multiple service awards and currently serves as associate editor of the Network Science journal and on the editorial boards of EPJ Data Science and PeerJ Computer Science.